Born in Bayonne, France, in 1955, Professor Michel Haïssaguerre graduated in medicine in 1982 and specialized in cardiology in 1984. 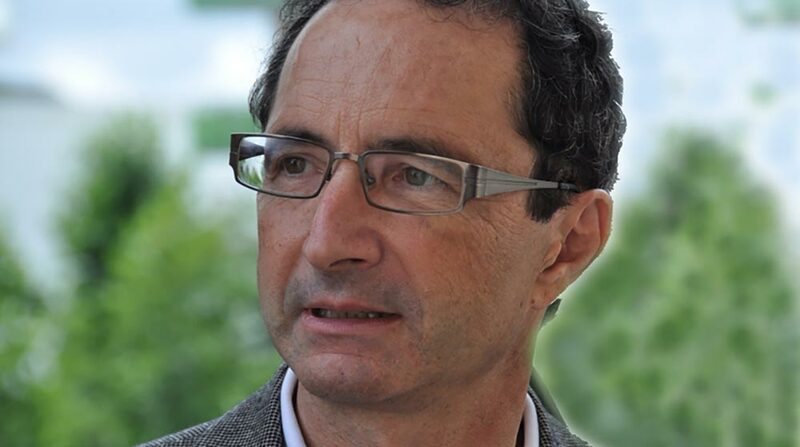 He is currently Professor of Cardiology at the University of Bordeaux and heads the Department of Cardiology-electrophysiology at the University Hospital of Bordeaux (Hôpital Cardiologique du Haut-Lévêque). His scientific and clinical work focuses on cardiovascular electrophysiology, particularly on cardiac fibrillation. He is best known for his remarkable contributions in the area of atrial fibrillation ablation. He was the first to detect the importance of pulmonary vein triggers and drivers in the genesis of atrial fibrillation. In addition, he was first to propose the technique of pulmonary vein isolation, which underlies current methods used throughout the world for atrial fibrillation cure. His team has also demonstrated that Purkinje cells were the main triggers of human ventricular fibrillation, with or without heart disease. Michel Haïssaguerre has published more than 500 publications in the leading peer-reviewed cardiology journals dealing mainly with radiofrequency current endocardial ablation of tachyarrhythmias. He serves on the editorial boards of many major journals of cardiology, including European Heart Journal, Circulation Arrhythmia, Europace, The Journal of Cardiovascular Electrophysiology, Journal of Interventional Cardiology, Heart Rhythm, and Pacing and Clinical Electrophysiology: PACE. Michel Haïssaguerre enjoys an outstanding national and international scientific reputation. He has received numerous honors and awards, including the Prix Robert Debré (1982), the Prix de l’Information Cardiologique (1990), the Prix Ela Medical (1992), the Nylin Swedish Prize (2002), the Best Scientist Award Grüntzig 2003 (European Society of Cardiology), the Pioneer in Cardiac Electrophysiology award 2004 par la North American Society of Pacing and Electrophysiology (NASPE) – currently the Heart Rhythm Society, and the Mirowski Award 2009 for excellence in clinical cardiology and electrophysiology. In 2010, he received the Lefoulon-Delalande Price (Institut de France), the Louis Jeantet Prize for Medicine (Switzerland), and became a member of the Académie des Sciences; and the Distinguished Scientist Golden Lionel prize (Italy) was awarded to him in 2011. In 2012, he received the Award Grüntzig and the Prix Fondation Coeur et Artères. The European Society of Cardiology awarded to him in 2015 the ESC Gold Medal for his exceptional professional path in the field of cardiology.